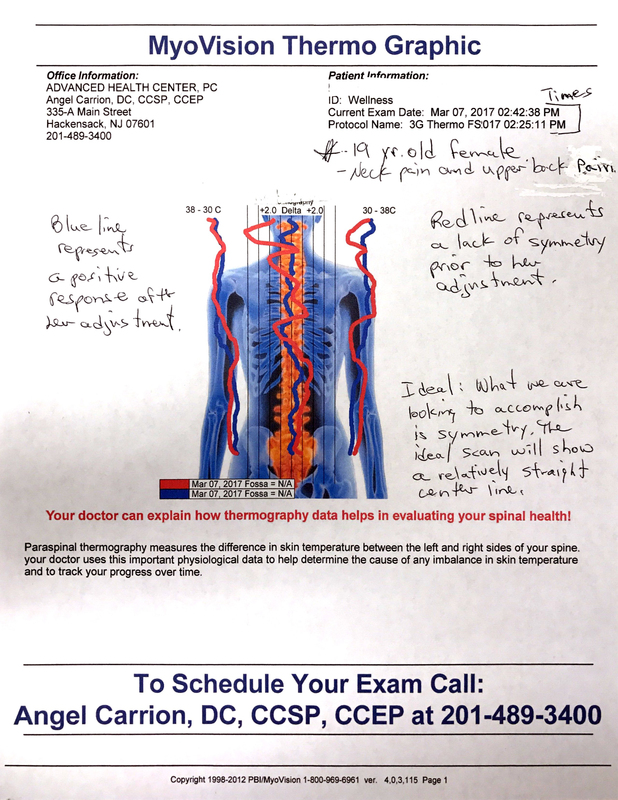 The days of guessing are over - Get your Scan today! Feel Better Today! 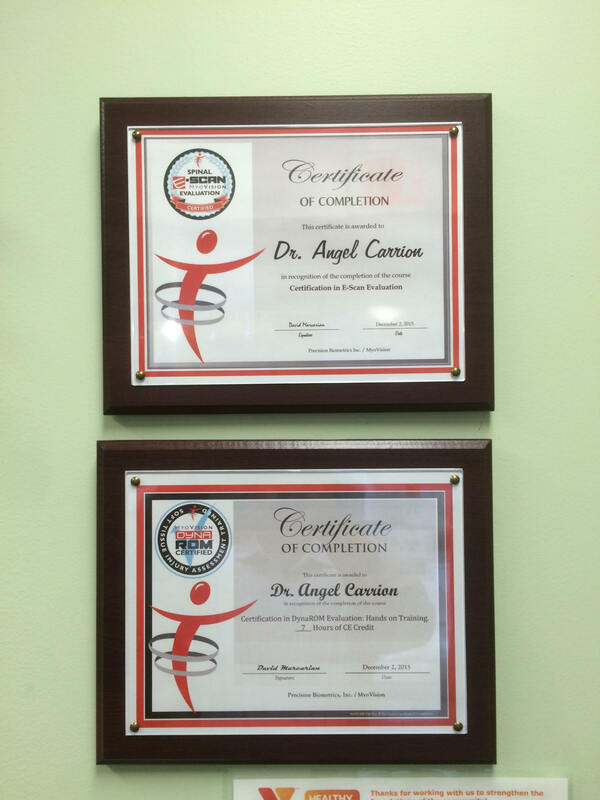 On December 2, 2015, Dr. Carrion became the first New Jersey Chiropractor who has completed the certification course/training to perform and interpret the Myovision Dynamic SEMG Scan and the Static Scan. 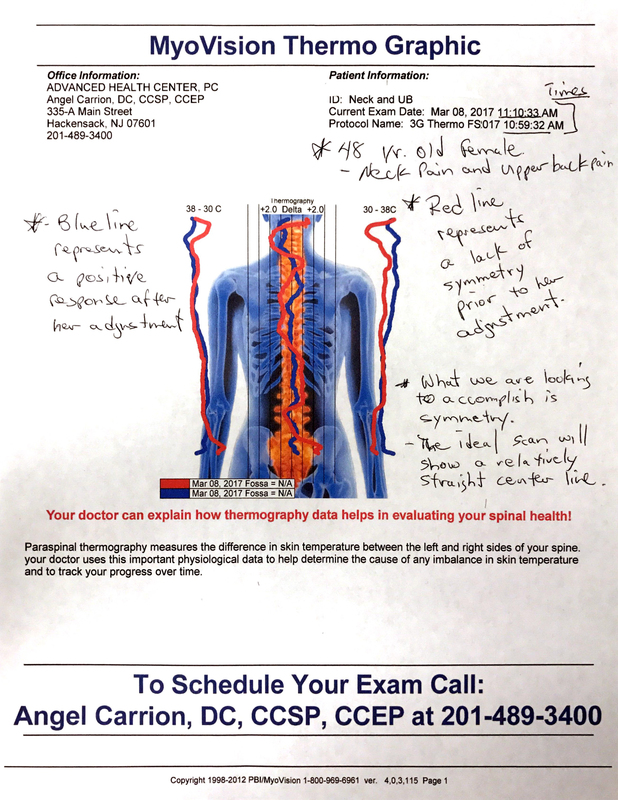 This tool allows Dr. Carrion to determine the best treatment plan for each individual patient as well as to determine the level of progress each patient is making based on objective evidence and not on patient symptoms. 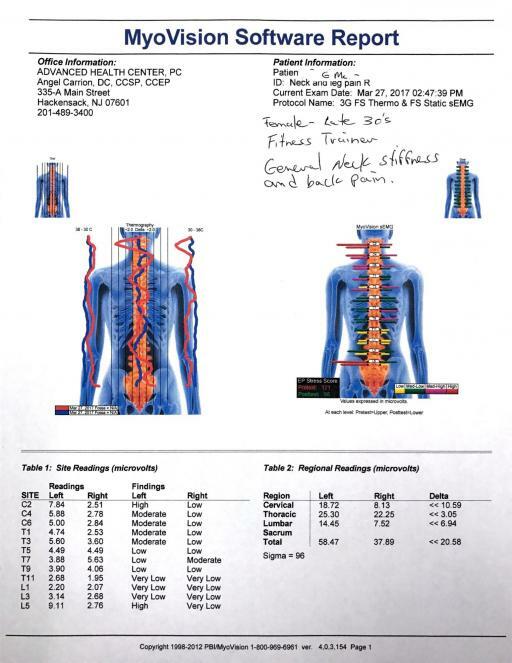 1) How long do I need to be adjusted? 2) How do I know if I'm getting better? Additionally, this is a great tool for the treatment of children that are not able to fully communicate their issues/condition with the doctor. 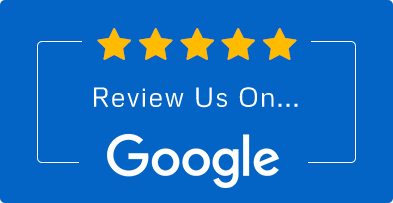 When you see MyoVision scans in your doctor’s office,you know you’re in good hands!